Air-fried Shishitos – a super easy crowd-pleasing snack that is ready in 10 minutes! 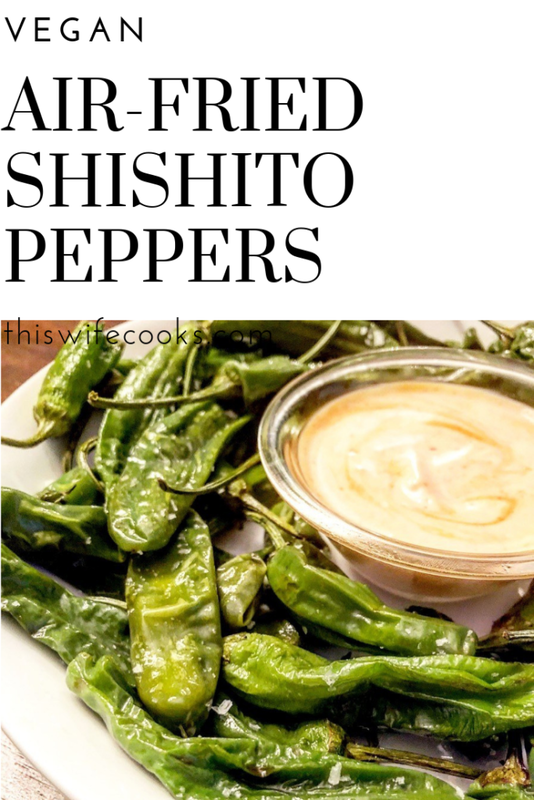 Why shishito peppers? Because they’re mild, perfectly sized, and don’t require any prep work. You literally just spritz them with olive oil (or don’t) and throw them in the air fryer. Maybe this isn’t so much a recipe as it is a method. Either way, it’s good stuff! My husband likes to eat the peppers plain with a touch of salt. 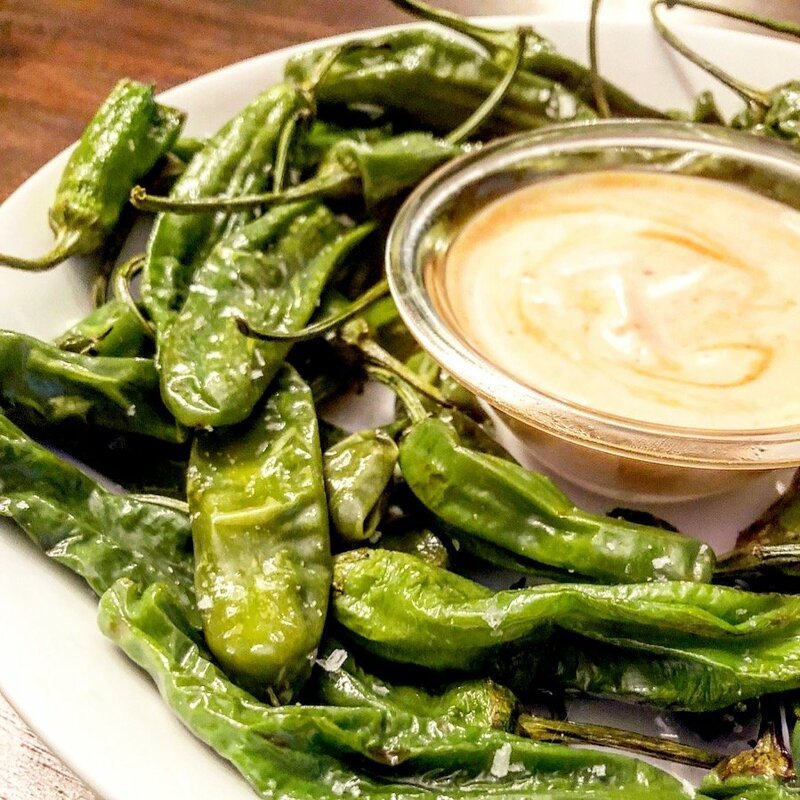 I like a dipping sauce on the side and one that can be made up while the peppers are doing their thing. For the sauce, I just mixed together some vegan mayo, sriracha, and a pinch of sea salt. Easy! Lighty sprite peppers with olive oil. 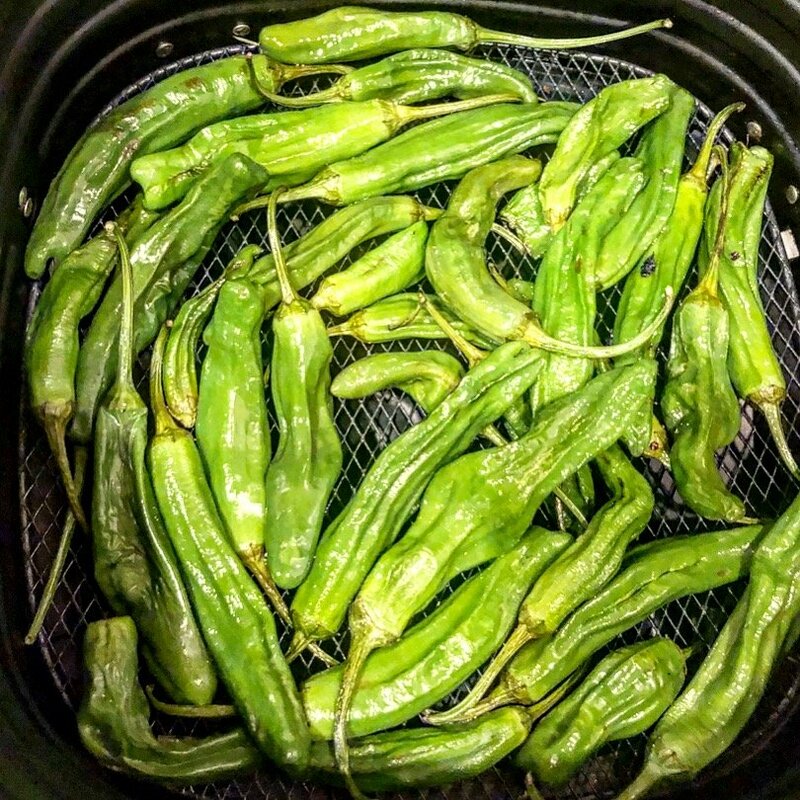 Into the air fryer basket, arrange peppers in a single layer. Set air fryer to 350°F. Sprinkle wit sea salt and serve warm.